Gina DeRosier Greenwald is Of Counsel to Greenwald Davidson Radbil PLLC. Ms. Greenwald earned her Bachelor of Arts degree in political science and Spanish from Birmingham-Southern College in May 2001. While at Birmingham-Southern, Ms. Greenwald was inducted into Phi Beta Kappa and served as president of her sorority. 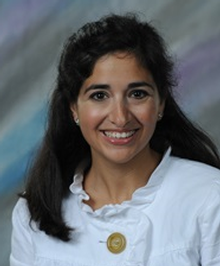 Ms. Greenwald earned her Juris Doctor degree from Duke University School of Law in 2004. Ms. Greenwald was recently appointed Class Counsel in Schwyhart v. AmSher Collection Services, Inc., 2017 WL 1034201 (N.D. Ala. Mar. 17, 2017) (nearly $1 million settlement under the Telephone Consumer Protection Act, plus substantial injunctive relief). Prior to joining Greenwald Davidson Radbil PLLC, Ms. Greenwald was an associate at Balch & Bingham in Birmingham, Alabama, and Blank Rome and Lee & Amtzis in Boca Raton, Florida. Ms. Greenwald has experience representing clients in a wide range of commercial litigation matters. At Greenwald Davidson Radbil PLLC, Ms. Greenwald's practice is focused on identifying and prosecuting consumer protection class actions, including those arising under the Fair Debt Collection Practices Act, the Electronic Fund Transfer Act, and the Telephone Consumer Protection Act. Originally from Huntsville, Alabama, Ms. Greenwald now resides in Boca Raton, Florida, where she is the president of the Parent Teacher Association of Addison Mizner Elementary School. Ms. Greenwald can be reached by email at ggreenwald@gdrlawfirm.com.